Got a song you're just dying for Pepper Street Band to learn? 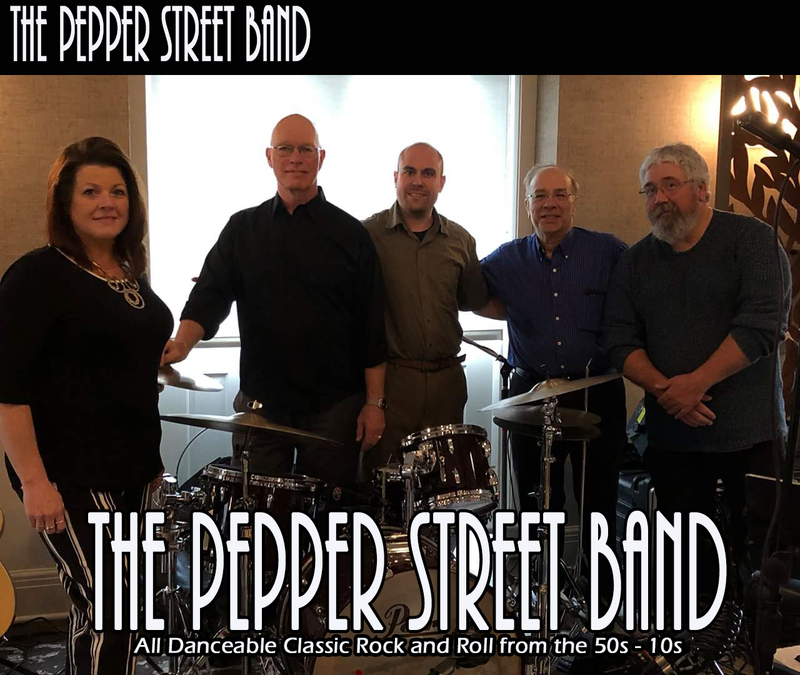 Pepper Street is a Top Forty Cover Band, playing favorite Classic Rock and Rock 'n' Roll Hits from the late '1950s through the '2010s. Over 20 of our songs were former #1 Hits on The Billboard Hot 100. 25 more charted #2 to #10. Another 15 were in the top 20, and yet another 15 charted in the Top 30. This is more than 110+ great songs! The remaining 15-plus songs on our active playlist are all Top 100 with a handful of exceptions, but all those non-charting songs were released on Gold and Platinum Albums by the popular artists. This means we play music people know and love! People hearing the Pepper Street Band for the first time often comment that we play so many great songs, hit after hit after hit!